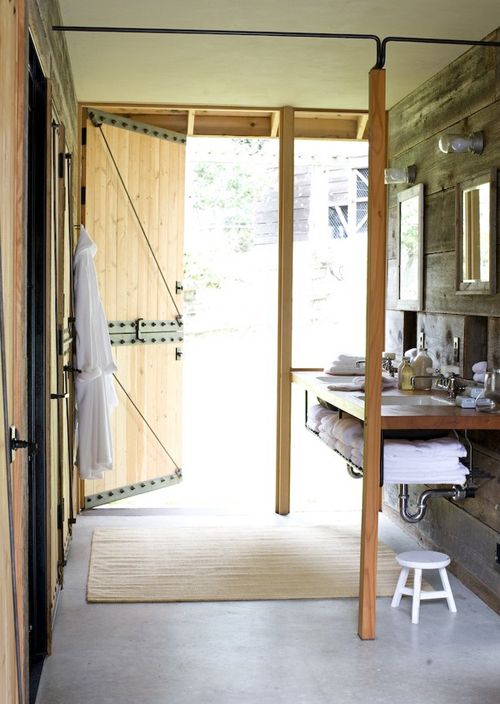 Each space was developed around a minimal palette of materials and color, with extensive re-use of existing barn materials. Some of these materials included the re-use of the original barn siding for interior paneling, re-milling of salvaged floor joists for stair material, trim and counter tops. Emphasis was placed on durability and directness of design solutions with the aim of creating practical and unique results. I love the simplicity of the design. The front door is fantastic! This barn looks amazingly awesome! I love it! It looks so comfy! That door is amazing….and those windows!!!! Yes for me too, it’s all about the doors (and the windows) in these last two posts. Sigh. I grew up in Texas so needless to say I am in love! Gorgeous! I love the simple colour palette and all that lovely wood. The simplicity of the design is just beautiful! I love SHED projects. Their work is simple and always so comfy. That is the most fabulous barn I have ever seen! 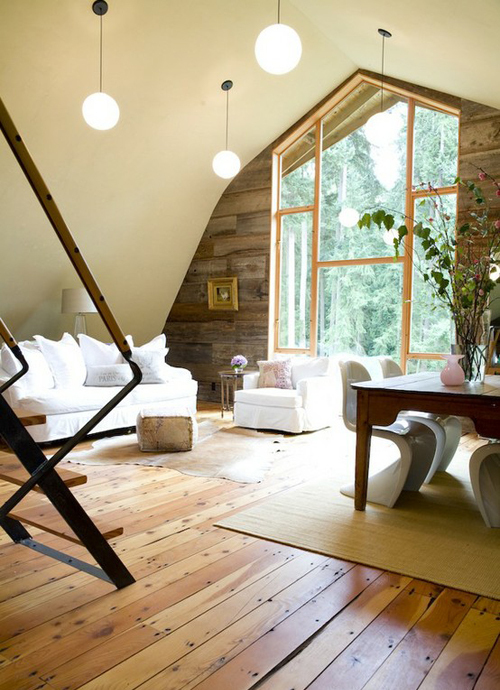 I love the expansive windows and the mix of raw reclaimed wood and modern touches like the Pantone chairs. Absolutely breathtaking! Barns converted into cozy homes are my favorite thing! So unique and earthy feeling. Thanks so much for the inspiration. 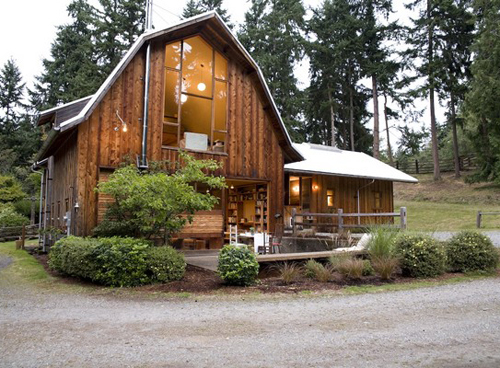 What a gorgeous barn, it looks very light and airy. No doubt the perfect retreat! 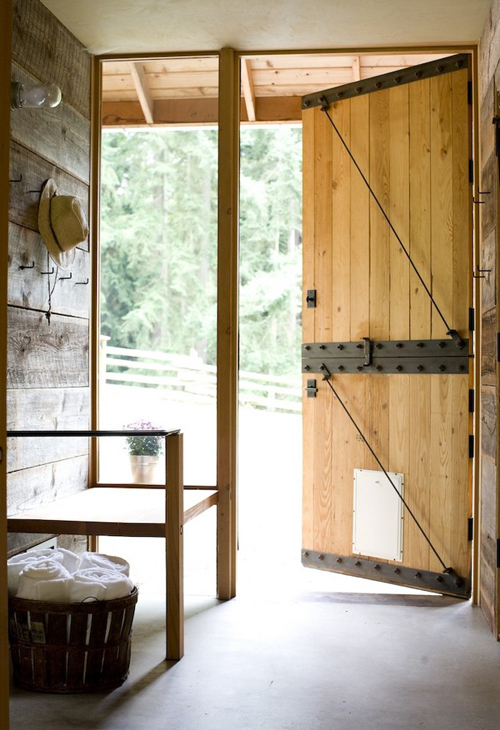 What a wonderful project, I love the mix of the wood and the the simplicity of the color palette. Thats great, i love the wooden wall with the natural grey surface. what a chance for rural areas with such great small pieces – have a nice weekend! I love it, it’s a very inviting space. I’d love to spend the weekend there!